This Rolex 116688 Ref. No. : v425227 was auctioned at Worthy. The man's watch is 44 mm in diameter with yellow gold case, yellow gold band. It features complication and automatic movement. It came to us with papers and the original box. It is in excellent condition and attracted 70 buyers. 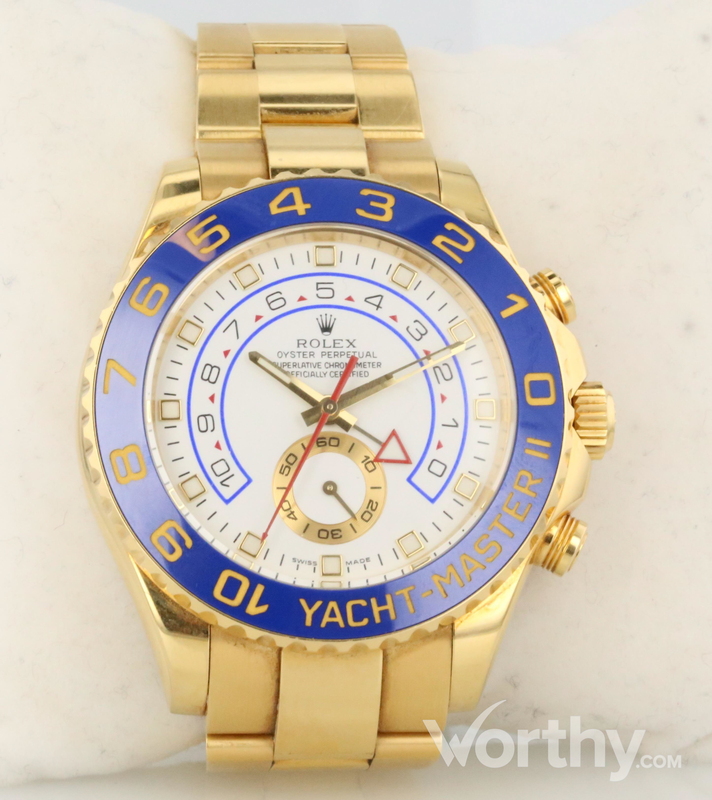 Rolex Watch Yachtmaster II Yellow Gold. Hands are moving but not tested. Watch has very minor scratches. Inner and outer box included. Only warranty card included.